I know that I’ve neglected this part of my blog, so a few words. I have received the final edits of the book from Taylor Publishing and right now they are in the process of printing the galley (advance edition sent to reviewers.) We are still on schedule for a September release. I will be returning the the US in late July. I don’t have any concrete dates yet, but am planning on getting to Texas in the fall to promote the book and do whatever appearances we can arrange. I had hoped to unveil Big and Bright at the THSCA clinic in Houston, but it won’t be until the following month. 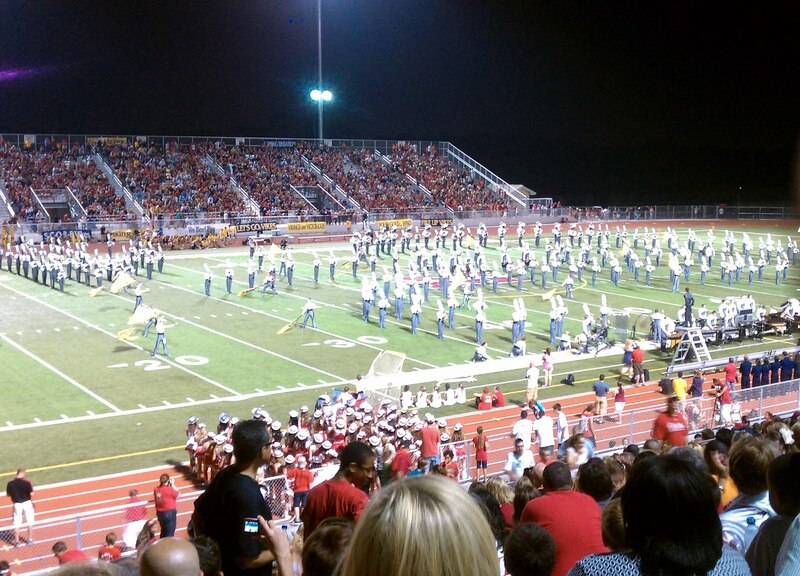 I’d love to set something up at the UIL football championships in December. Texas readers-Please send me any suggestions for good promotional ideas in your area. As you can tell from this post, I’m brand new to this and can use all the help I can get! 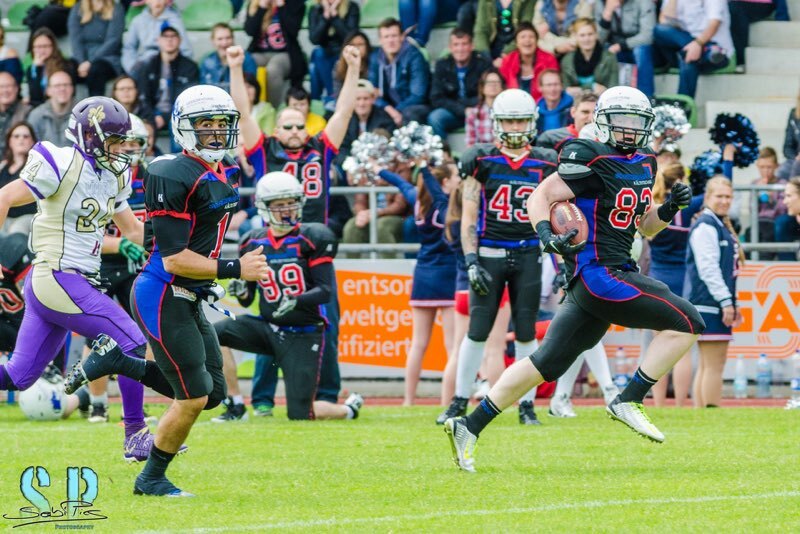 Not knowing what to expect from the Freiburg Sacristans our first play was an inside zone, our go-to running play. Freiburg was misaligned. Razorback QB Garret Coleo saw this immediately. Garret pulled the ball and ran to the left side. 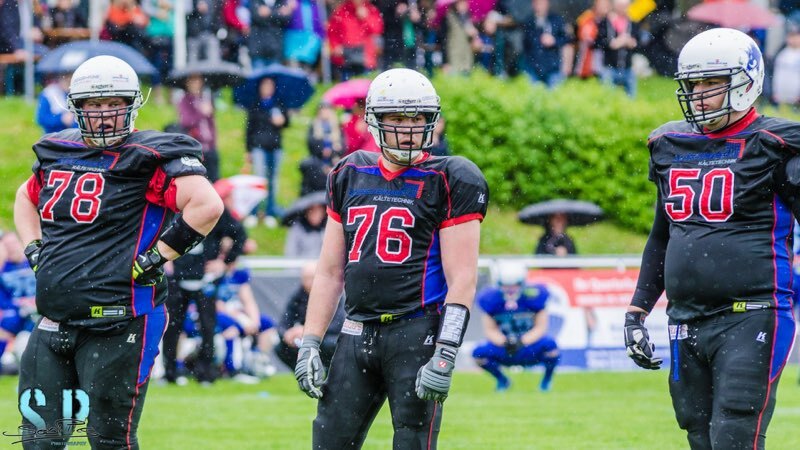 When Freiburg’s safety came up to challenge Garret, he dumped a quick pass down the line to slot receiver Michael Mayer. A good block from split end Marvin Kastle and Mayer was gone, 70 yards; 7-0 Razorbacks only seconds into the game. A three-and-out, a great punt return by Jeremy Stewart and the offense was quickly back and knocking on the door. Four plays later, running back Steven Spagnuolo pounded it in from the three, 14-0. It was that kind of day. The Razorbacks dominated all three facets of the game, creating big plays on offense, defense and special teams. 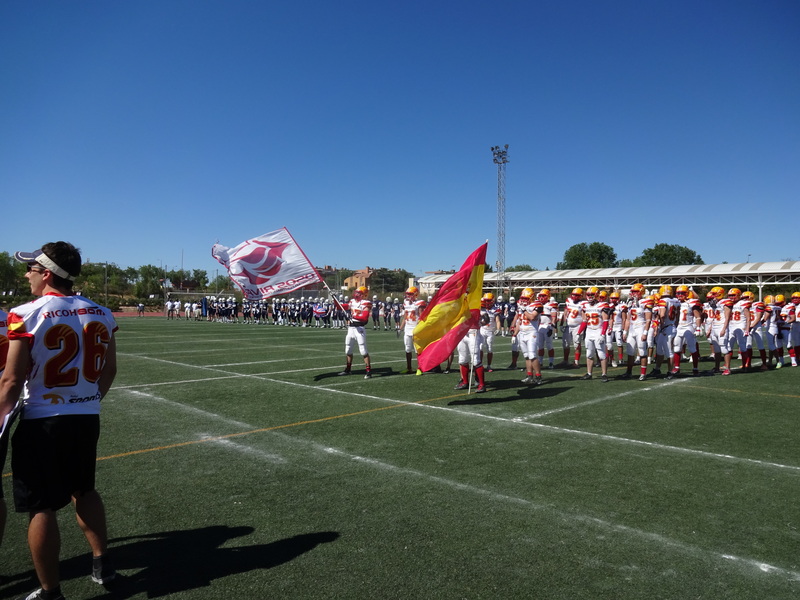 By halftime the score was 42-0 on the way to a 61-3 final. I’m proud of how our offense played. Every position group was sharp and executed well. We committed no turnovers and had no penalties. Garret threw and ran well and consistently made good pass and run reads. Our backs hit their aiming points and made good cuts. The receivers ran good routes, executed good downfield blocks and caught the ball. Finally, our offensive line dominated; opening running lanes and protecting the passer. Defense again was a big part of the story. Freiburg quickly learned they couldn’t run the ball at our front and were forced to throw…with little success. As much fun as Sunday was, the aftermath of games like this worry me. 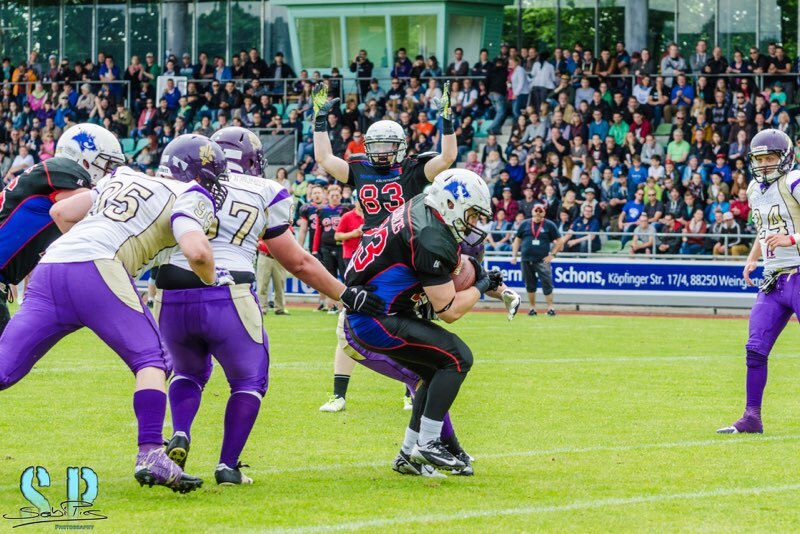 We travel to Pforzheim Sunday for a rematch with the Wilddogs (a team we beat 42-7 in the league opener.) We would seem to be in good shape but it’s very tough to beat a team twice during a season. Several factors trouble me. 1) Pforzheim has improved greatly since we saw them in April. 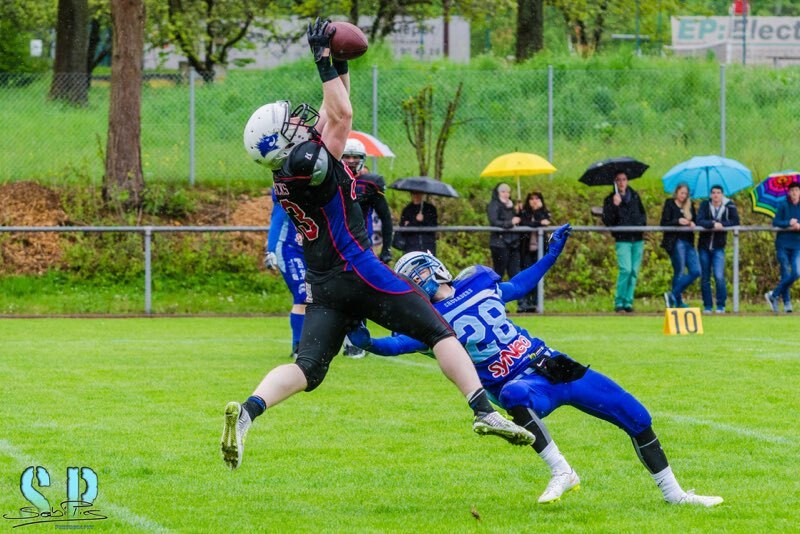 They are coming off a convincing win against Trier and played Albershausen tough. 2) They will be hungry, eager to redeem themselves for their performance in the first game. 3) We travel to them. I’m told they have good fan support and it’s always tougher to get off a bus and play well. 4) Overconfidence. Will we approach this game giving the Wilddogs the proper respect? Will we have good practices coming off a big win, preparing for a team we’ve already beaten? Razorbacks- It takes discipline to prepare for every game with the proper focus and attitude. Champions are never content with what they’ve achieved but always work to improve. We’ve had a great start, but we are still a long way from our goal. How we prepare and execute this week will say a lot about who we are. The Razorbacks are on another bye week and I decided to do some book research in Spain. 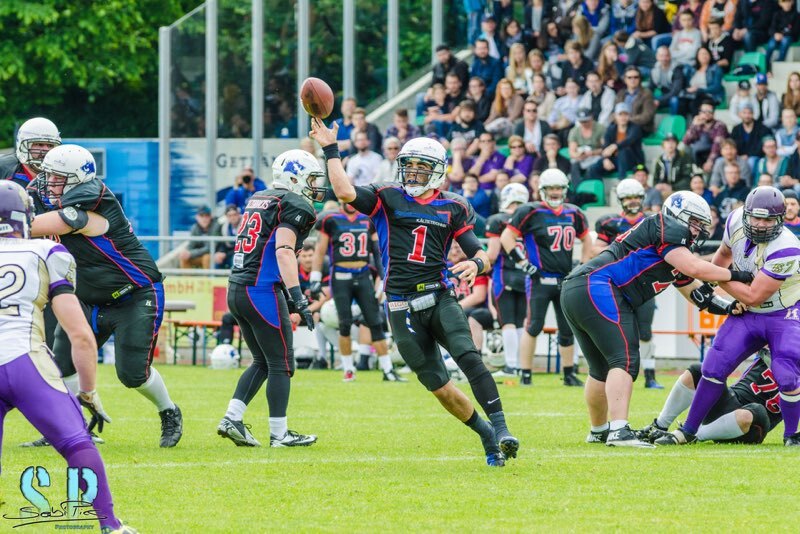 When I was looking for a team to coach, quarterback Blair Black contacted me about his team in Serbia. I decided Germany was a better fit, but we stayed in touch. Blair later moved to the Osos Rivas outside of Madrid. I thought he had an interesting story and decided to make the trip to meet him and see his team play. Blair DOES have an interesting story (I’m saving for the book), but a few weeks ago, the trip itself took an unexpected twist. The Osos defensive coordinator would be working the day of their game against the London Blitz. Head coach Fernando Guijarro asked me if I would call the defense. Euro football is full of situations you would never find in the States and I just stumbled upon one. As a new sport in Europe, and a sport requiring many coaches with specialized knowledge, few programs have the luxury of full staffs. Programs are glad for help wherever they can find it. During Friday’s pre-game practice I took a crash course of the Osos defensive scheme and signals with DC Ricardo Martin. It’s impossible to truly prepare for a game with a brand new team in one day and with no scout of the opponent, but what a great opportunity to do something unique. I spend most of the pre-game warm-ups watching the Blitz and what I see worries me. The Osos look like most European teams; a bunch of tough, but average guys in their early 20s to early 40s with a sprinkling of some very good athletes. The Blitz however, look like something else. Most are in their early 20s and they are very well conditioned. The staff is well organized and deep, with position coaches running specific pre-game drills. This team clearly isn’t scrambling to find players, coaches or support personnel as most in Europe must. The Blitz takes a quick 14-0 lead in the first 5 minutes of play. Our defense stiffens and plays decently during the rest of the half, holding the London team to just one score, but in the second half the wheels fall off. London is bigger and deeper than the Osos and executes a well-coached game plan for a team who knows they have superior strength. The Blitz defense attacks and pressures Osos QB Blair Black, never allowing the Madrid offense to develop any rhythm. The strong Blitz run game grinds on the smaller Osos, forcing the defense to over commit, opening up cutbacks and play action passes. 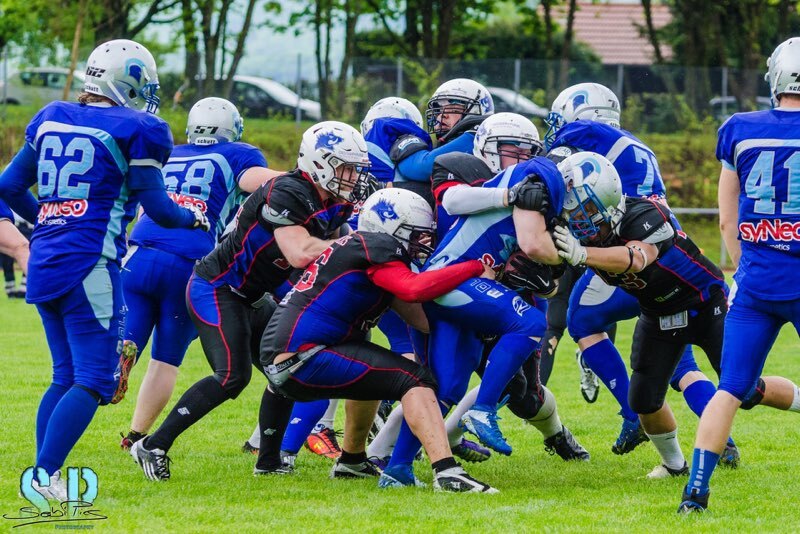 The Blitz coast to a 55-0 victory. Coach Guijarro was very upset by the result. This mindset will help the Osos continue to improve. Today, the Osos ran into a better program, but I’m sure the experience will make them stronger in the future. Football is the most complicated sport invented by man and getting to the top in a place where many don’t start until later in life will take years. But, it’s great to see teams making that struggle. Thank you Blair Black, head coach Fernando Guijarro, defensive coordinator Ricardo Martin and all of the Osos Rivas football team for allowing me to work with you. It was a great experience and I will be following your successes in the future. Time to get back to work for the Razorbacks! I apologize for the tardiness of this post. My wife is in town, it’s a bye week and we’ve been busy seeing as much of Europe as possible in two weeks. Since I came to Germany, Sunday May 3rd hung over me like a cloud. This was the first of two games we will play against the Albershausen Crusaders. 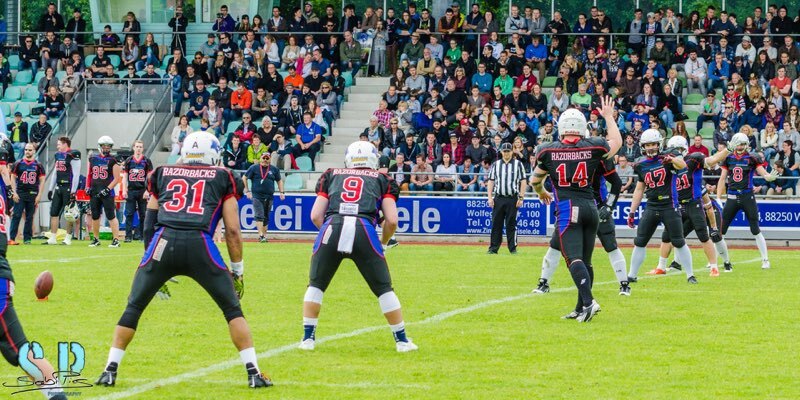 The Crusaders had gone 10-0 in 2014 before failing to move up to GFL II due to playoff losses. The word is that, this year, they plan to get over the hump and have brought over three very talented imports. Looking at the film, I saw plenty to worry me. 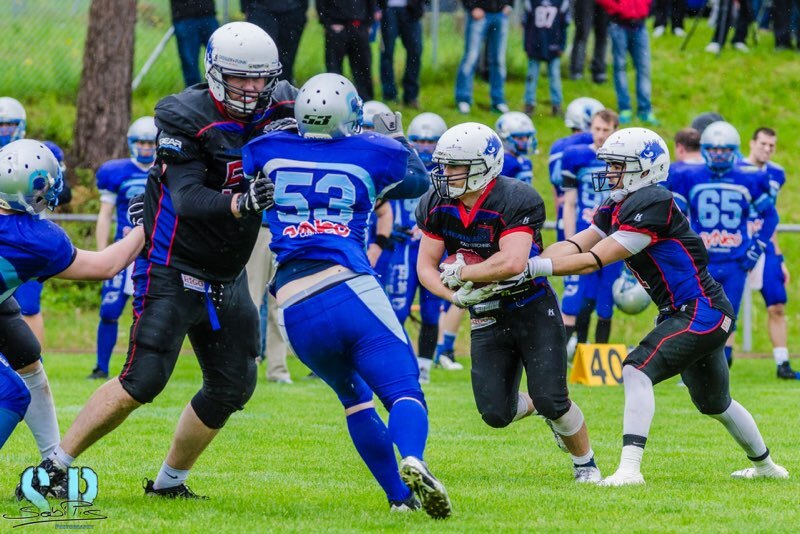 Albershausen has a very tough front, they play sound defense and are very well disciplined. I knew this wouldn’t be a cakewalk. The game did not start well for the Razorbacks. The Crusaders recovered the opening pooch kick and moved the ball to our ten before settling for a field goal. We moved the ball well on our first drive, but some sloppy play forced us to make an unsuccessful field goal attempt. Again, the Crusaders moved the ball well and looked poised to take a 10-0 lead before the tone of the game completely changed. The defense stiffened and held on a 4th and 10 from their 10. Looking back, to me this sequence was the most important of the game. Never again would the Crusaders challenge our defense. The offense responded, driving 95 yards on ten plays scoring on a pass to Michael Mayer, 7-3 Razorbacks. Dominant defense and a blocked punt gave us a short field gave us great field position and we capitalized on a nice run by Canadian import Steve Spagnuolo and we are up 14-3 at the half. A pick-six interception by linebacker Sasha Braendle and another TD to Spagnuolo effectively put the game away in the second half. I wish I could say we played a great offensive game, but we didn’t. I was proud of two of our drives, but we were sloppier than we should have been both early and late. I’m worried about our inability to finish after we get comfortable leads. That said, it was a huge relief to come out of Albershausen with a win. The real credit this week goes to our defense. 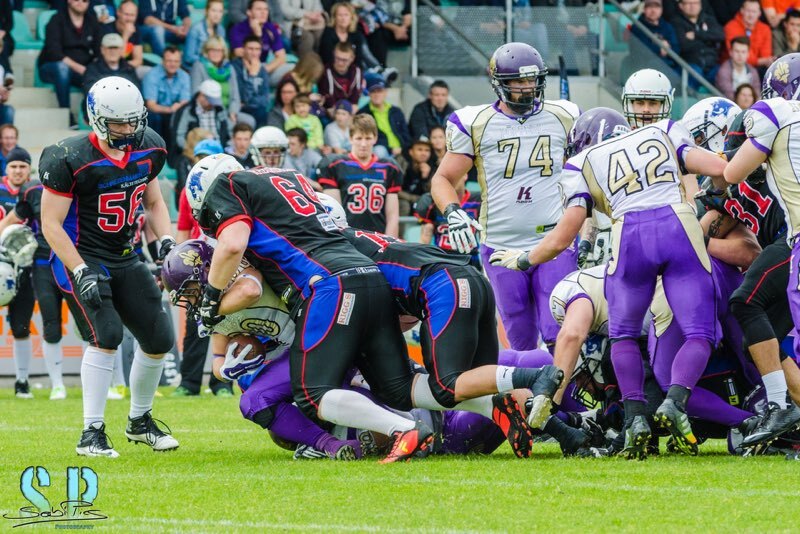 The decisive battle was between our defensive front and their O-line and it was a knockout. Crusader backs were met at or behind the line when they attempted to run. I almost felt sorry for Albershausen QB, John Rock who had no time to throw and got crushed repeatedly. It’s a great feeling to line up against a worthy opponent and come out on top, but the worry never ends. We will meet the Crusaders again later this season. It’s always tough beating the same team twice during the same season. I expect they will be prepared. I know we’re enjoying this big win for our program, but I hope we don’t let it go to our head. We still have a lot of work to do. I’m writing this from Paris as my wife is out shopping. Two more days then she heads home and I’m back to Germany on a fast train in time for practice Monday. Time to get back to the vacation.